PokerStars is facing more international trouble. Russia has moved to block the website along with several other online gambling sites. The move comes after the Supreme Court of the Russian Federation made ISPs responsible for blocking gambling sites that were illegally offering games in Russia. 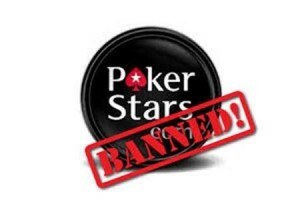 Russia has blocked access to fifty gambling related websites including PokerStars. The prosecutor’s office recently requested that a list of sites be blocked which included PokerStars along with a number of major bookmakers such as Ladbrokes. In total 50 gambling related websites have been blocked. However, it is just the PokerStars website which has been blocked. Players in Russia are still able to join tables at PokerStars despite not being able to reach the website. PokerStars has reassured its Russian players that business will continue as usual. However, if Russia does eventually force players off the gambling websites it would be a major loss for the online gambling community. Russia is one of the largest contributors to online player pools.